Welcome to Innovative Engineering & Controls. Manufacturer & Exporter of Wireless Security & Wireless Fire Alarm Systems Software & Installations. The company was established in the year 2005. Our innovative approach & High quality products have helped us to earn world wide client base. Timely delivery, Industry leading prices & customized solutions are some of the plus points of our organization. Our huge list of clientele includes Panacea Biotech, Euotherm Hema, Max Pharma, Vipul Group & Baxy Infosol. 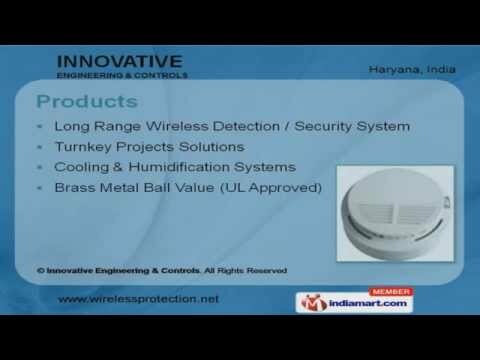 We are engaged in offering Wireless Detection, Security, Cooling & Humidification Systems. Our Long Range Wireless Detection & Security Systems are a class apart. Along with that we undertake turnkey projects for Fire Protection & Long Range Wireless Alarm Systems. Cooling & Humidification Systems are some of our best selling products. We are specialized in offering Brass Metal Ball Values.